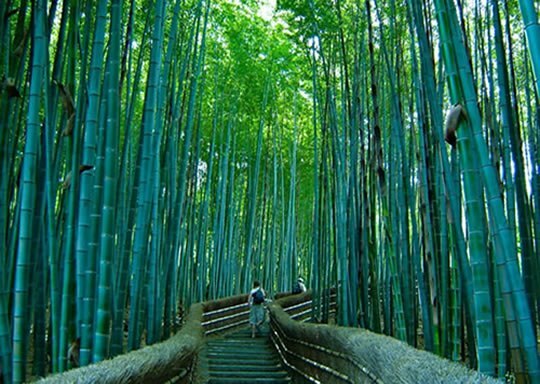 The walking paths that cut through the bamboo groves make for a nice walk or bicycle ride. The groves are particularly attractive when there is a light wind and the tall bamboo stalks sway gently back and forth in a musical fashion. The bamboo has been used to manufacture various products, such as baskets, cups, boxes and mats at local workshops for centuries.